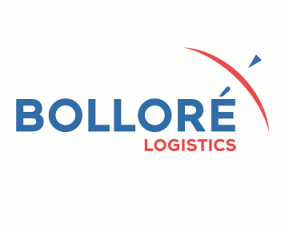 Bolloré Logistics has partnered with Oro Inc. in a global venture offering clients one-stop B2B e-commerce sales and processing service. The innovation creates an enhanced means for multichannel retailers to do business with customer companies, and simplifies and speeds order preparation, handling and delivery procedures orchestrated by Bolloré Logistics. ORO has helped Bolloré Logistics respond to needs that have not been fulfilled in the past, such as non-sellable inventory items. And with multinational companies prioritizing cost control to remain competitive, the Bolloré Logistics-ORO solution also creates value through a seamless customer experience portal. Under the offer, OroCommerce platforms – tailored to the specifics of B2B activity – are augmented with Bolloré Logistics’ LINK collaborative information network. LINK provides real-time tracking, inventory, first and last mile status and other updating, using the constant input of maritime, air and road transporters, warehouses, customs and other supply chains actors. LINK is already used by 5,300 customers, 20,000 specific users per month and receives 400,000 views per month. The new digital tool caters for customers’ individual business and sales requirements and provides processing and handling services clients can track through LINK’s updating throughout transport and logistics operations. Ludovic Laungani, Regional e-commerce solution for Bolloré Logistics Asia Pacific, added: “Next step for us is to integrate well-known payment gateways in order to provide a complete, end-to-end offer for B2B”. The new service also provides cross-fertilization between clients’ popular consumer sales sites and B2B platforms, forging front-to-end logistics, transport and tracking management that can also be used for B2C activity.